An adult stem cell transplant was Devon’s only chance at life, and this in itself presented another challenge. Because of a genetic anomaly, Devon’s family members were disqualified to be his bone marrow donors for the transplant. Typically, adult stem cells come from “banked” umbilical cord blood saved from birth or from bone marrow of family members who are most likely to have the right blood type match. Devon Weaver’s story is the latest example of the life-saving ability of non-controversial adult stem cells, which do not require the destruction of a human life for the healing of another. Devon and the patients with MS in this latest ongoing clinical trial are now counted among the more than 1 million patients worldwide who have been treated with hematopoietic (blood and bone marrow) transplants. 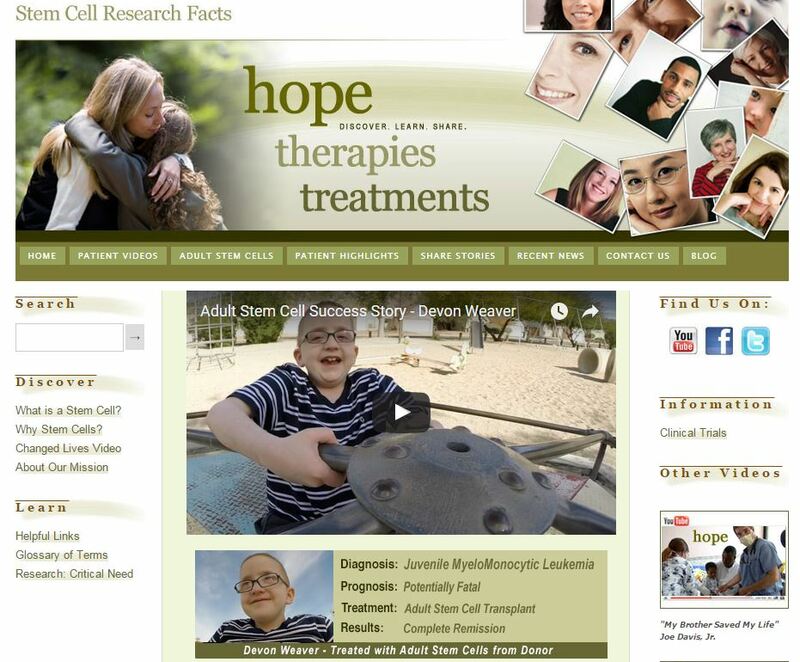 The Charlotte Lozier Institute began supporting Stem Cell Research Facts in January 2015, and plans to continue sponsoring inspiring videos like Devon Weaver’s to raise awareness about the life-saving, research-based, and ethical option of adult stem cell treatment.